OK, Ladies here is what you have been asking for…A Great Gift for the Men who have everything! What a great way to Recycle a piece of American Automotive History! See Photo All the photos for the numbers of each Varition - Choose Style from the Varition List as you purchase the one you like. I have nickle (silver color) backs & Brass (yellow color) backs...This choice is also in a Varition List. 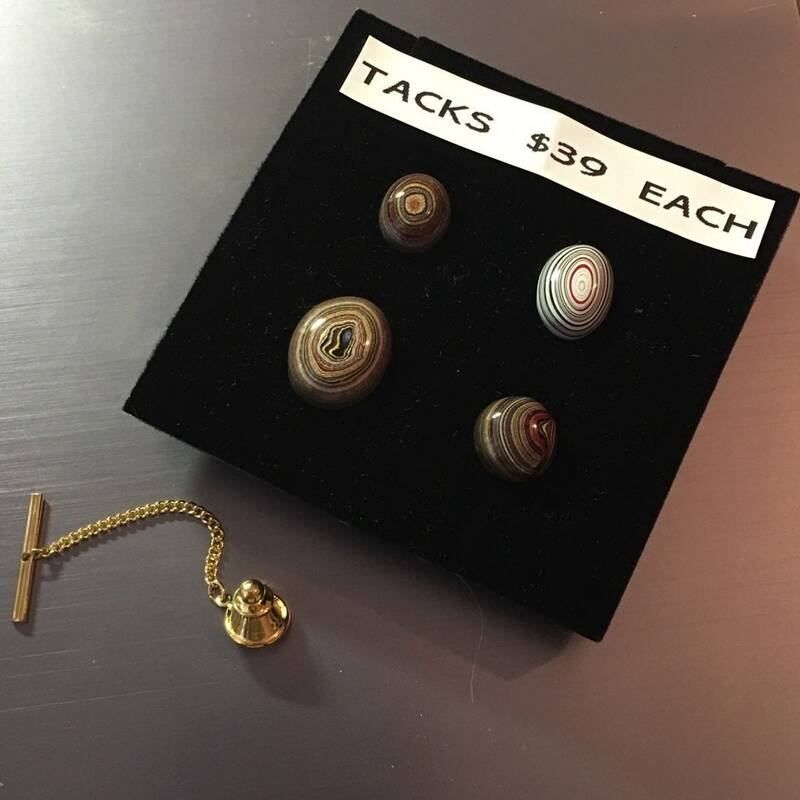 And if you see a different color Car Paint that you like on my site...just contact me and, If I am not out of that rough, I can custom make a Tie Tack just for you. The Tie Tacks come Gift Boxed ready to give to that Car Man in your life. from the pre-1980 automotive production lines.